Slate-colored Junco x White-throated Sparrow? 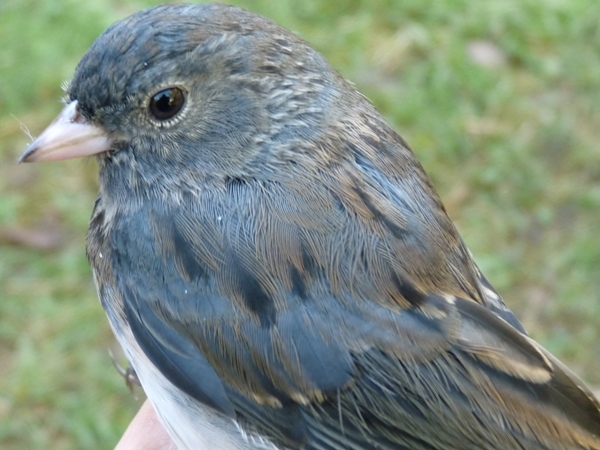 The junco in the photos below was banded by Marcel Gahbauer at McGill Bird Observatory (Montreal, Quebec) on October 11, 2010 during week 11 of the Fall Migration Monitoring Program. Compared to a more obvious Slate-colored Junco x White-throated Sparrow hybrid banded the previous week, this individual looks somewhat different, especially in that it does not share the obvious white throat patch. However, the back especially suggests sparrow parentage, given the black-centered brown feathers. 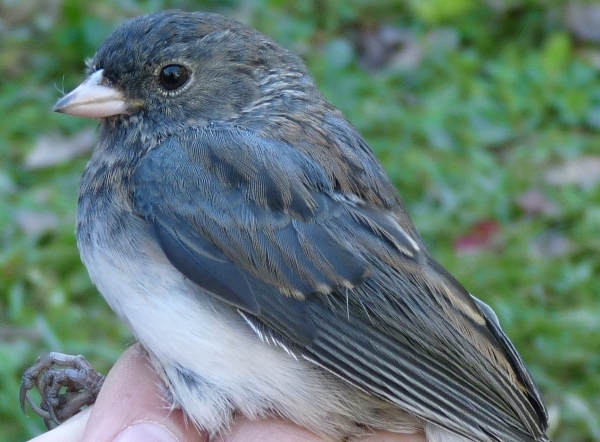 Although a different sparrow species may be involved, White-throated still seems most likely based on overall appearance and the greater overlap between junco breeding habitat with that of White-throated Sparrows than most other potential candidates. Any thoughts about its identity are welcome by e-mail. All photos by Marcel Gahbauer. and on the nape, as well as a faint eye ring. 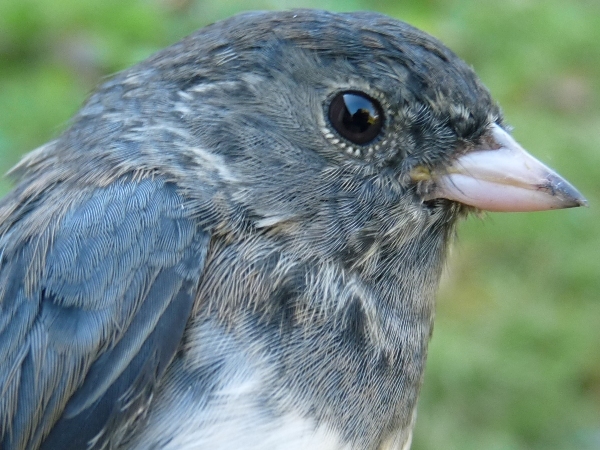 The overall appearance of the junco, showing much more brown than would usually be expected. 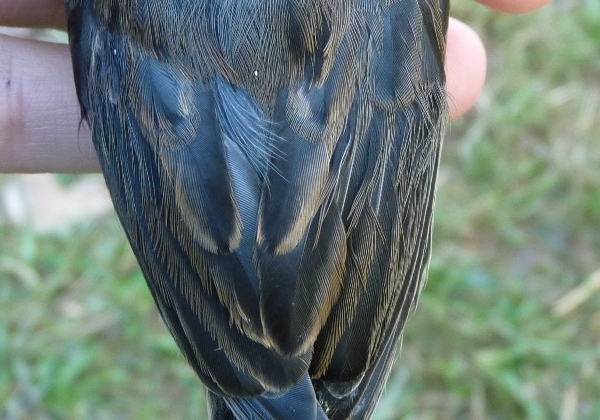 A bit more from the back, highlighting the black-centered brown feathers that suggest sparrow parentage. A view of the spread wing and lower back. The lower back and tertials, showing a pattern more typical of White-throated Sparrow than Slate-colored Junco.